Individuals can join ATRA at the $35 membership level and receive an annual subscription to Trail Runner Magazine and a discount to the trail runner days of the US Trail Running Conference as part of their membership. Trail Runner Magazine is a four-color glossy dedicated to OUR sport and is published eight times per year. 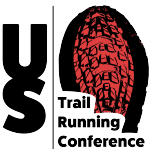 US Trail Running Conference takes place annually and cerebrates all things trail running. As an ATRA member you will also receive ATRA’s newsletter Trail Times, a 25% discount to Ultrarunning Magazine and access to FREE race entries in monthly ATRA prize drawings. (Trail Runner Magazine must be shipped to US address, or there is an additional fee to a Canada address). Single Event (Race) membership for event directors is $95. Your event will be listed as a member in Trail Times. A link on our home page provided to your URL. We will list your event featured in BOLD on our trail running calendar. In addition, receive 20% off Trail Times ad rates. Club / Specialty Run / Single-track membership is $195. Your club, running store or multi-event race series will receive a welcome ad and be listed as a member in Trail Times. A link on our home page provided to your URL. We will list your event featured in BOLD on our trail running calendar. In addition, receive 20% off Trail Times ad rates. Legacy membership for individuals is $1000 and is 100% tax deductible. 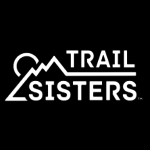 You will receive a donation letter for this charitable contribution and lifetime ATRA membership including monthly e-newsletters to keep you informed about all things trail running. We have corporate membership levels available at “Single-track”, “Double-track”, “Switchback”, “Steep & Rocky” and “All-terrain” levels. Learn more about the benefits on our Corporate Opportunities page. You can print the form at the link below and send in with your payment or register online with our membership registration partner Race Roster. 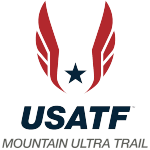 The following organizations are proud supporters of the American Trail Running Association.